The Never Settle trial is pretty straightforward. If you are a Verizon customer, head on into T-Mobile or their website, select a plan, port your number, and give the carrier a spin for 14 days. If you don’t like it, port your number back to Verizon, reactivate your account, and turn in the device you chose on T-Mobile. 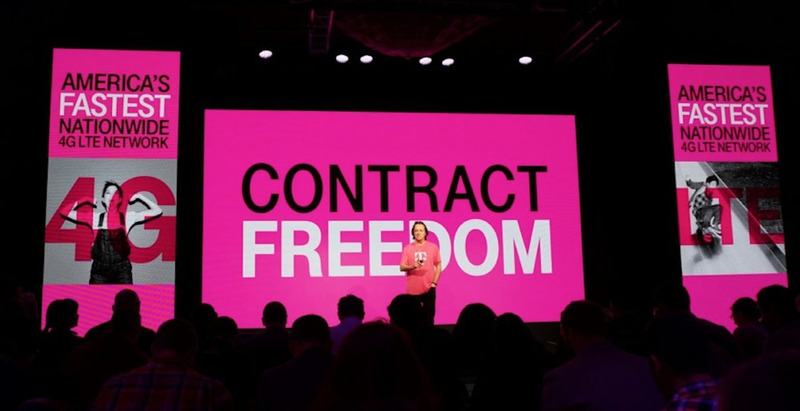 If you do end up liking it, T-Mobile will pay your early termination fees or any unpaid phone balances with a prepaid Visa card. They have a limit on how much they will pay, though, which is $650. At that time, you will also trade-in your old Verizon phone. Any Verizon customers try this campaign out? On that same note, please, let’s not get carried way in the comments about how Verizon is this and T-Mobile is that. We already know, folks. Stay classy.